The smog check in San Francisco is a necessary and required maintenance service that responsible drivers have completed biennially. We don’t write the laws, California does. But getting a smog check isn’t all that bad. Your friends at My mechanic make the emission check beneficial to you and your vehicle. In addition to passing state law requirements, your vehicle will operate better after the emissions test if problems need fixed. Often, when a vehicle emits an abundance of harmful emissions, that means it isn’t running correctly. We find out what the problem is with your vehicle and fix it. If your vehicle doesn’t need fixed and is in good shape, we send you on your way with the forms that allow you to drive around legally. California appreciates clean air and so do the guys at My Mechanic. When we check your vehicle’s emissions we get to use our technologically advanced systems. We are able to hook these systems up to your exhaust and discover the amount and kind of pollutants emitted by your car. If you don’t own a vehicle that’s hybrid, electric, natural gas-powered or manufactured in 1975 or before, we want to see you every two years! 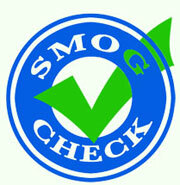 Keep your vehicle legal and protect California’s crisp air with the smog check at My Mechanic in San Francisco.